Dr. Elliott has been referred to affectionately as the "Health Detective," drawing from a wide range of disciplines, both mainstream and alternative, in order to diagnose and treat chronic illness. She has successfully treated problems that do not respond to pharmaceutical drugs and other conventional treatments. These include chronic fatigue, fibromyalgia, severe allergies, chemical sensitivities, autoimmune diseases such as rheumatoid arthritis, recurrent sinusitis, recurrent migraine headaches, depression, bipolar illness, panic attacks, insomnia, multiple joint and muscle pains, and chronic candidiasis. Dr. Elliott's approach, utilizing integrative therapies, is clear and systematic, and can be life-changing. Dr. Elliott also diagnoses and treats more routine ailments such as chronic acid reflux and other digestive disorders, parasite and yeast infections, hormonal imbalance, recurrent urinary tract infections, rashes, adult onset diabetes, and other ailments commonly seen in a family practice office. Her approach is holistic, with less reliance on pharmaceuticals, and with the emphasis on patient education. Example of recent case history: A woman came to see Dr. Elliott with a history of sudden onset of suicidal depression three years ago for no apparent reason. She had frequent therapy sessions with the psychiatrist and was on antidepressant medication with little improvement of symptoms. A friend had recommended that she see Dr. Elliott to see if there was a physiological explanation for the unexplained depression. Dr. Elliott tested the patient for heavy metals, food allergies, and nutritional deficiencies. All the tests were normal. She then asked the patient to have her house tested for mold, chemical fumes, and for gas leaks. A gas leak was detected that the utility company had overlooked. The leak was repaired and the patient gradually improved. Today she is well and happy. Dr. Elliott is no longer accepting new patients, due to a very full schedule of current patients. Erica Elliott, M.D. is board-certified in both family practice and environmental medicine, and practices in Santa Fe, New Mexico. She has more than two decades of experience in successfully treating people with complex and perplexing chronic ailments. Dr. Elliott has lectured extensively on nutrition, the role of hidden food allergens, environmental toxins, and detoxification with infra-red sauna. 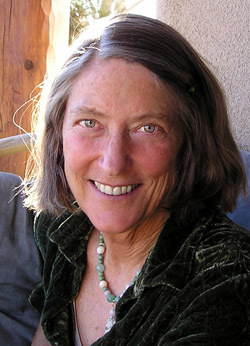 She is co-author of Prescriptions for a Healthy House, New Society Press, 2008.